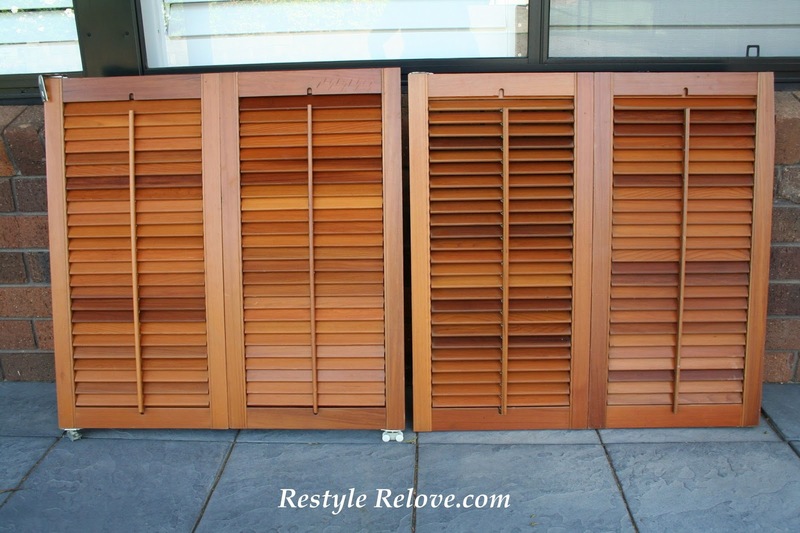 I found these brown wooden shutters at a Church sale. 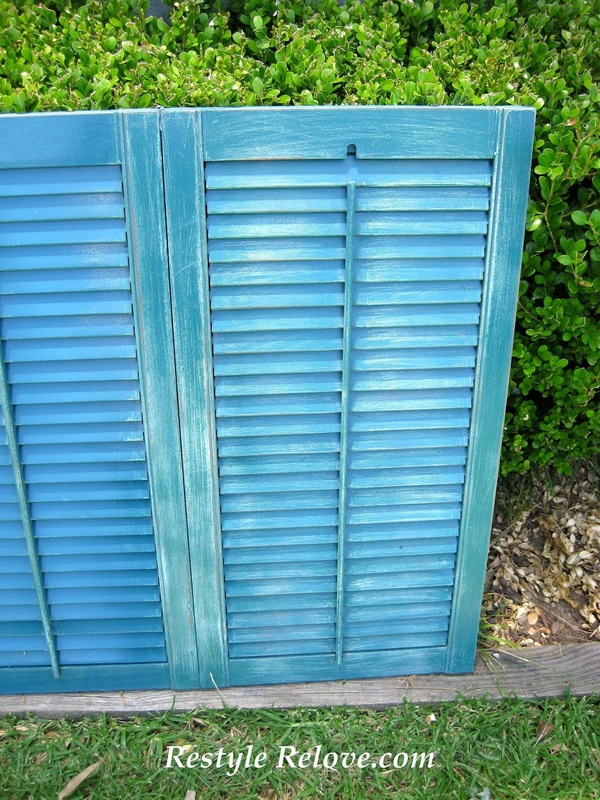 I had been looking for shutters for a while and when I spotted them hidden away behind some other stuff, I pounced on them, literally! And for $5 the pair, how could I not buy them. Score! 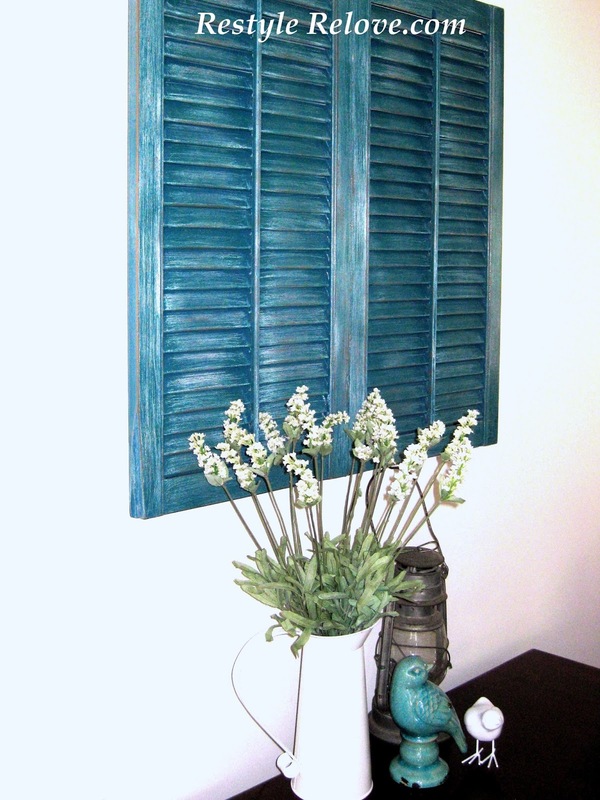 I usually paint everything with a brush or roller, but knew this project was going to require spray paint or it would take forever. I'd heard the raves about Krylon, but unfortunately I could only find one stockist in Sydney, Australia, and they wanted $12.95 a can, plus $12 postage. I've read Walmart in the US stocks it for $3.99!!! Perhaps we should move. :) Previously I was paying $10.95 a can at the hardware store. Again, just a bit too much for a thrifty budget. Then I thought about an automotive shop. They have lots of different colours and majority, if not all paint, is metal friendly, so worth checking out for various projects. I was right. $3.45 a can. Gotta be happy with that. 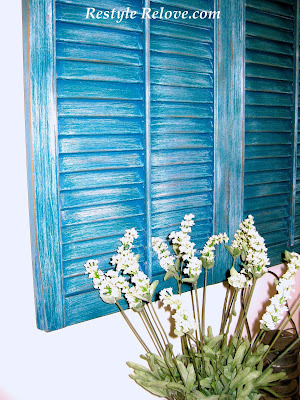 I was initially looking for a turquoise colour but they didn't have anything even close. 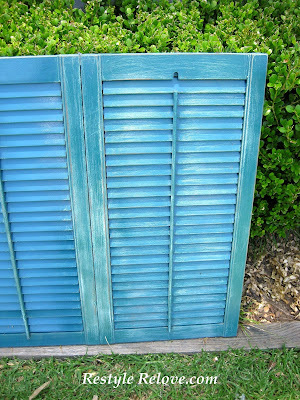 So instead I picked up a can of very light blue and a can of teal blue. I'd decide which colour to use later. I'd bought a can of Birch white undercoat last week at Spotlight for $8. (Again, not very thrifty.) This was just enough to cover both. Ouch! 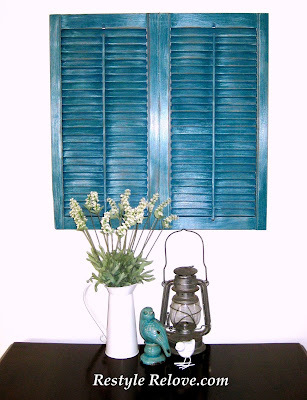 I'd also like to add a shelf underneath so I can add some bits and pieces in front of the shutters. 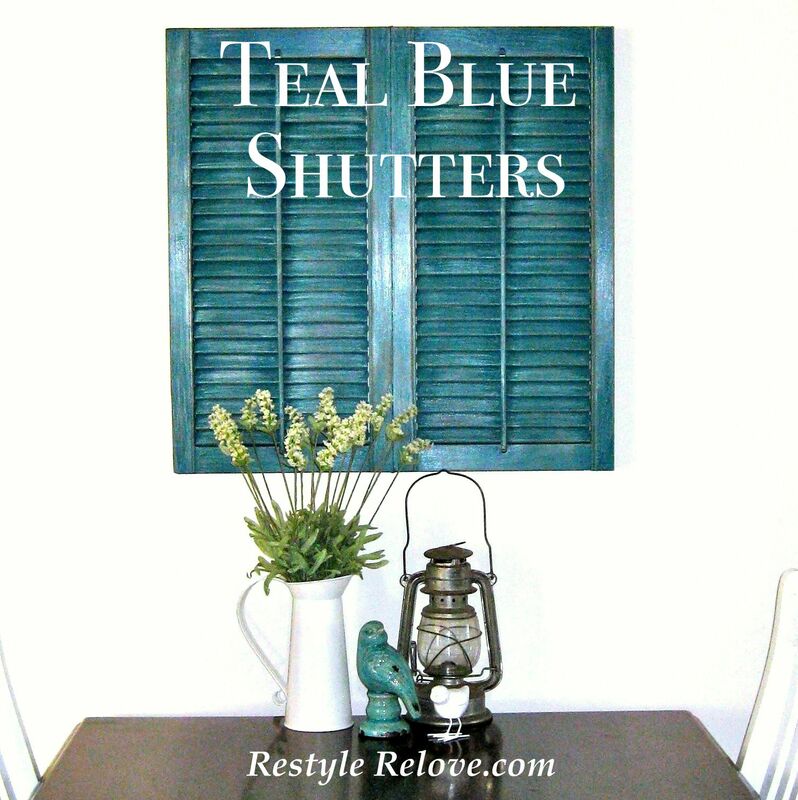 I LOVE your shutters and your whole room! Thanks so much for dropping by to visit at Knick of Time! 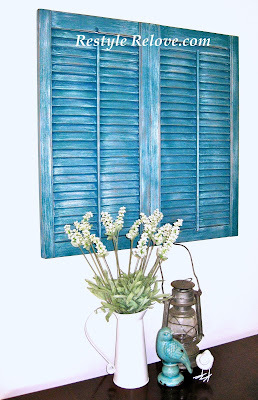 I hope you'll come by each Tuesday to link up to the Knick of Time Tuesday - Vintage Style Link Party! I love shutters and that color is awesome! Thanks for linking up to our party! Thanks Kelli! What a gorgeous piano! And how cute is your blog name??? Love it! They are lovely! What a great score. 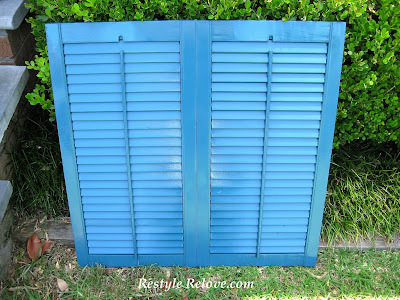 I've been searching for shutters for a long time... Spray paint is expensive for you! Wow. 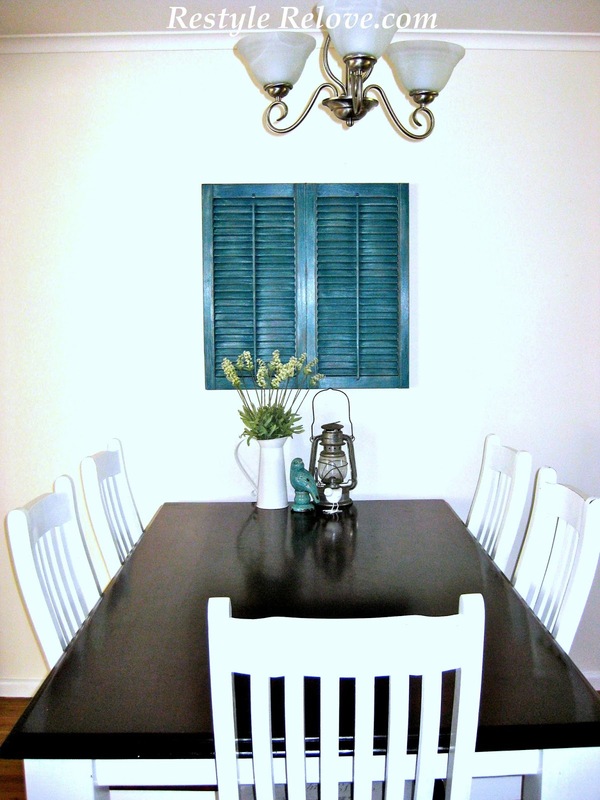 Great job with the shutters. Love the color. The white was effect is perfect! Looks SO good!!! Awesome find! Thanks LOTS for sharing at Overflowing with Creativity!